What could be sweeter than Michigan Montmorency cherries combined with chocolate ganache? Cherry Ganache Pie once again returns to our shops for Valentine’s Day. If you haven’t tried this sweetheart’s favorite, the pie is our classic Grand Traverse Cherry Crumb Pie topped with a luscious layer of chocolate ganache. To celebrate the love of all sweetie pies out there, we are offering our 6” and 9″ Cherry Ganache Pies through Valentine’s Day (February 8th through February 17th). For an extra yummy Valentine treat, we suggest serving this pie warm with a scoop of vanilla ice cream. Your sweetie pie will thank you! 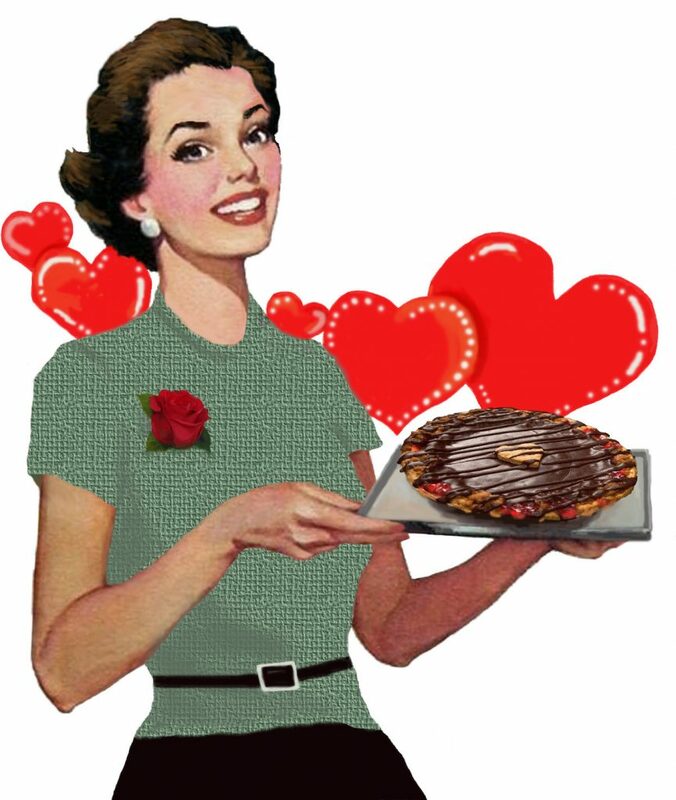 We want to share the love of pie this Valentine’s Day. Visit any of our 15 pie shop locations (or order one from our Online Store) and purchase one of these delicious pies as a Valentine for a friend, family member, or any special person in your life. It’s a local favorite treat!